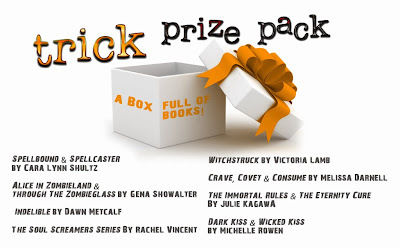 Bittersweet Enchantment: Harlequin Teen Halloween Tour: The Eternity Cure by Julie Kagawa | Trick or Treat? Giveaway! 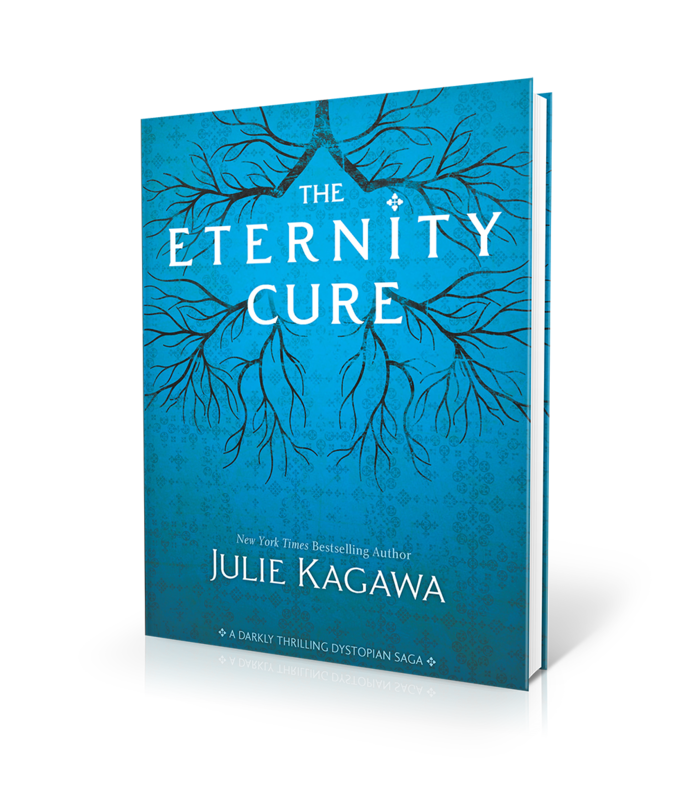 Harlequin Teen Halloween Tour: The Eternity Cure by Julie Kagawa | Trick or Treat? Giveaway! I am without a doubt ecstatic about being part of the 2013 Harlequin Teen Halloween Tour. Harlequin Teen and Kismet Book Tours have come together to bring you this fun event with so many epic authors! 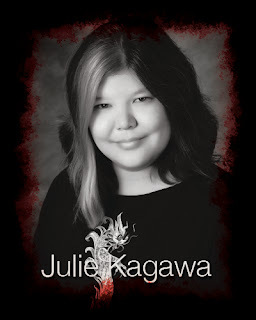 Here at Bittersweet Enchantment, I have the honor of hosting one of my VERY FAVORITE authors, Julie Kagawa! I have read everything she has ever written including one of her newest books The Eternity Cure. Which I must say was AMAZING! So without further ado, please help me in welcoming Julie Kagawa and star (main character) of The Eternity Cure, Allison! Allison will be sharing her thoughts on "What's the scariest part of being in love?" What is the scariest part of being in love? Author interjecting: "Allison, please. Humor them. For me?" afraid I'll lose it and eat the person I'm in love with. Happy now?" Author: "No, that's the easy answer. And I know you better than that. What's the real reason? Why don't you want to fall in love?" someone only to watch them die or stab me in the back. Because it's easier to be alone then to go through that again, and now that I'm a vampire, it's better that way. They won't betray me, and I won't tear out their throat. Everyone wins." Author: "Do you believe Zeke would do that?" Author: "Why are you so afraid of falling for him?" Allison: "Because...he deserves better. He's truly a good person, and he doesn't need to be with someone like me. I don't want to hurt him, but I'm afraid of what the monster would make me do." Author: "But you do love him, don't you?" Allison: "That wasn't the original question. And I think I'm done." 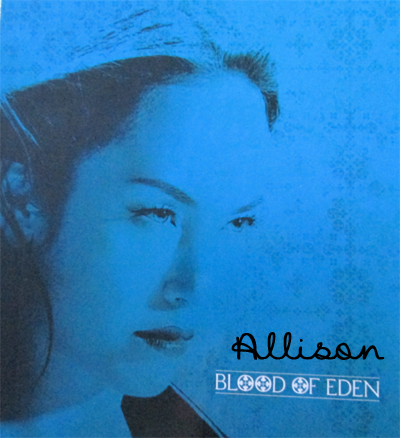 You won’t want to miss book 2 in Julie Kagawa’s dystopian masterpiece, Blood of Eden, optioned for a movie by Palomar Pictures. How do you face the end of eternity? In Allison Sekemoto’s world, there is one rule left: Blood calls to blood. She has done the unthinkable: died so that she might continue to live. Cast out of Eden and separated from the boy she dared to love, Allie will follow the call of blood to save her creator, Kanin, from the psychotic vampire Sarren. But when the trail leads to Allie’s birthplace in New Covington, what Allie finds there will change the world forever-and possibly end human and vampire existence. Don't be tricked by the box, it's full of treats: a copy of all the books on tour this month! 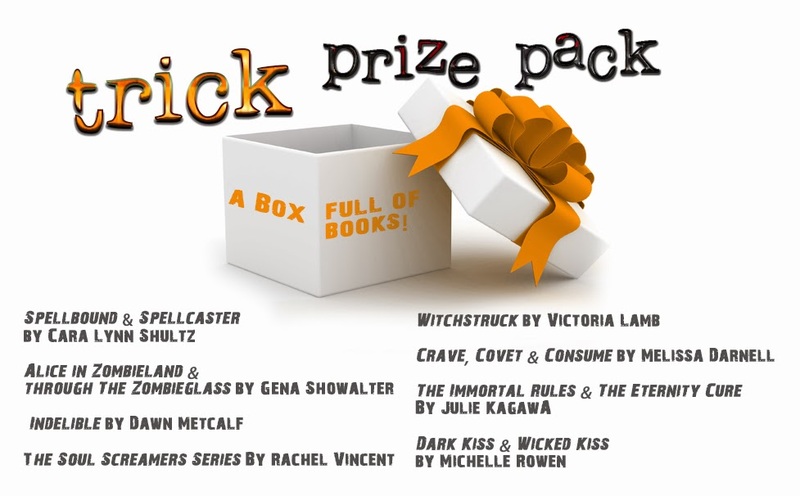 Please note that both trick and treat prize give-aways are for US/Canada participants only. See full contest rules here. haha, that was so cute! The author and her character "fighting." I always love when things like that happen. It does amuse me so. I've been wanting to read this book for months! It sounds incredibly interesting and all my friends who have read it loved it, too. Also, I really want to meet Allison now. She definitely sounds like a character I would love. What a fun guest post! I still need to read Eternity Cure. It is sitting waiting patiently for me. I'm a big horror fan. I grew up reading Christopher Pike, Stephen King, and Dean Koontz. Paranormal books are my jam! I love scary books! And I love anything involving witches, werewolves, ghosts, vampires, etc. I love paranormal books because they take you out of ordinary life. It makes reading them like a vacation from your own life of school and work. I love Julie Kagawa's books. I loved it, and so like her character. I cannot wait for book three of this series! I like horror so much more than paranormal. I feel like to horror books to some degree could really happen. Paranormal no so much. Love to our tour host and author. Thanks for the giveaway. Good luck everyone. I love everything and anything paranormal and I especially love everything by Julie Kagawa. Thanks for the giveaway! Love paranormal books, because they are not what normally you will leave, amazing to forget real life problems, and who doesn't like to get a scared sometimes. Thanks for the interesting interview. I like paranormals since they take you to a whole other world. Paranormal books are some of my favorites, along with dystopians. If a scary book has a strong plot and great characters I'm willing to give it a try, too.